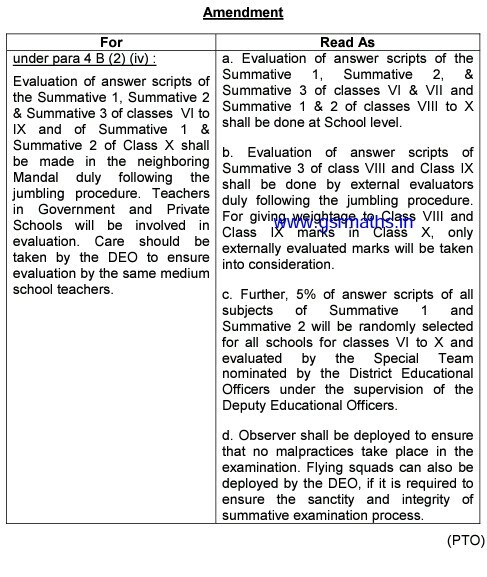 1.G.O.Ms.No.12, School Education (Prog.II) Dept., dated 25.02.2016. 2.G.O.Ms.No.20, School Education (Prog.II) Dept., dated 28.03.2016. 3.G.O.Ms.No.32, School Education (Prog.II) Dept., dated 24.05.2016. 2.Government, after careful examination of the matter, have decided to issue amendment in partial modification of the orders issued under para 4 B (2) (iv) of the G.O. Ms. No.20, SE (Prog.II) Dept. dated 28.03.2016 and accordingly, hereby issue following amendment to the said G.O.